Kris Bryant will also have a better year than last year. Look for Bryant to contend for the MVP again in 2018. The fantasy third baseman rankings are tough to call in some ways. 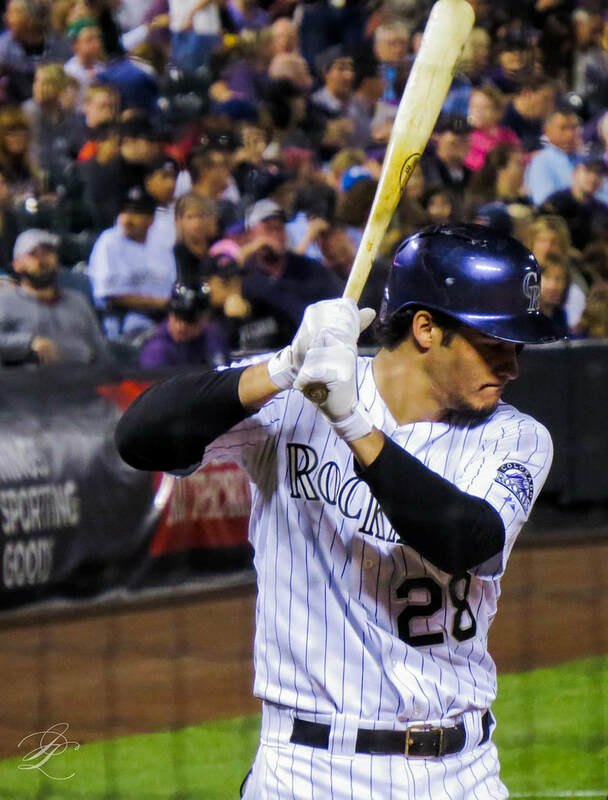 On one hand, you have some very obvious, can't-go-wrong picks like Nolan Arenado, Kris Bryant and Josh Donaldson. On the other hand, you can also sneak a few base stealers in here at third base, too - not the usual strategy for a fantasy draft when it comes to drafting third basemen. In our top 50 list, we have 9 guys who had double-digit stolen bases, and a few more who have the potential to get there. Also, the 9 third basemen who had 10+ steals also had double-digit home runs, which is what you're really looking for in a corner infielder. It has been a long-held strategy at The Brass that we recommend you get any guy you can who can get as close to a 30/30 season as possible. Now, some of these guys we're mentioning only hit 11-19 home runs, but how many times have you won home runs by 6 or 7, only to lose stolen bases by 1? Let alone losing the stolen base category 1-0? We trued to tell you about Travis Shaw last year and the year before. He came up as a 25-year-old in Boston and had an immediate impact, but then he had a mediocre sophomore season. Naturally, the impatient Red Sox fans sent him packing, and he landed in Milwaukee. The Brewers had a somewhat surprisingly-potent lineup, but more importantly, Travis Shaw showed up with more power while hitting in a smaller ball park. More power + better hitter's park (for lefties, anyway) translated into deep fly ball outs in Fenway turning into home runs in Milwaukee. Also, Shaw managed to increase his walks from 43 in 2016 to 60 in 2017, too. All this translated into significantly more home runs, RBI, runs and a higher batting average. He also managed to get 76 more plate appearances once the Brewers committed to him being "the guy" at third base, so that also helped. Draft Shaw without fear, and - oh yeah - he also stole 10 bases, too. Sweet, huh? Justin Turner broke his wrist - or we should say, had his wrist broken for him - by an inside fastball on March 19th during spring training. This injury happens every year to a handful of players, but this is a high-impact fantasy player. Justin Turner doesn't kill you in any one category, but he does something to fill up the box score in every game. On draft day, take Turner in the first 5-6 rounds. When he comes back, he'll be just fine, and the Dodgers' lineup is stacked from top to bottom. Remember that you're drafting guys for your playoff run. Turner is likely out until some time in May, so let him heal on your bench, then bring him in to break some fantasy-nerd hearts during your playoff run. Anthony Rendon Over Manny Machado? Yes, man! Anthony Rendon over Manny Machado. The stats don't lie, and you ain't drafting for defense, Broseph. Although - SIDE NOTE - there are rumors going around that Machado will be moving to shortstop. If that happens, that's a fantasy basebeall game changer for your lineup this year as well as your draft for next year... but for now, Anthony Rendon is better than Manny Machado almost across the board: better RBI, way more walks, way fewer strikeouts (hence the better RBI despite Machado's win in the HR category); the same number of runs despite Rendon playing in 9-fewer games; and Rendon is better across the board in the averages: batting average, slugging, on-base percentage and OPS. And for you Manny Machado die-hard fans out there, get over it - it's only one spot lower. Sheesh. You Guys Sure About Eduardo Nunez at #8? Eduardo Nunez played exactly twice as many games ​in San Francisco as he did in Boston, yet Nunez hit 8 HR in Boston vs. 4 in SF; he drive in 27 runs in 36 games in Boston to just 31 RBI in twice as many games in SF. On top of everything else, the stat that makes him legit is the fact that he was already hitting .308 in San Francisco (in that crappy lineup with no protection around him), then he went to Boston and hit even better (.321). He has legitimate potential to hit 20 HR with 20 stolen bases, as well as 80-100 runs and 80+ RBI. So, while maybe we aren't 100% sure about Eduardo Nunez being the 8th-best fantasy third baseman, at least now you can certainly see how we talked ourselves into it. His stats last season were not a fluke, and his performance in the World Series was not a fluke, either (see: David Freese). Alex Bregman turns 24 just before the start of the season, and he's surrounded by great hitters all up and down the Astros' lineup. Even if he ends up hitting 7th in that lineup, there will be someone on base for him to knock in. Likewise, if Bregman hits in the #2 spot, Lord knows there are bats to knock him in. Bregman is in a can't lose situation in Houston... and don't forget that he stole 17 bases last year all while only striking out 97 times in 155 games. Best of all, you can probably get Bregman a little bit under the radar after the big names go, and it wouldn't surprise us at all if Bregman outperforms Manny Machado overall in 2018 - and Machado is almost certainly going t get drafted ahead of Bregman by a few rounds.